The Medicare Supplement Open Enrollment, is the best time to sign up for a Medicare Supplement Plan. Don't confuse this with the Annual Medicare Advantage and Part D open Enrollment that you hear about every fall. To discuss any Medicare Supplement Open Enrollment questions you might have, call us at 844-528-8688, there is never a fee for our services. Please continue reading for an explanation of the best time to signup for a Medicare Supplement plan. The open enrollment period is the time period, when you can enroll into a Medicare Supplement Plan (Medigap) with no underwriting. This means that any preexisting conditions you may have will not impact your monthly payment and you cannot be turned down for coverage. This is open enrollment period starts the first day of the month that you turn 65 or enrolled in Medicare Part B and lasts for 6 months after that. Your 65th birthday is June 16th, your Medicare will start June 1st and your Medicare supplement open enrollment will run through November. If, however, your 65th birthday falls on the first of the month, your open enrollment period would begin on the first day of the month before your birthday. This would make your Medicare Supplement Open Enrollment start date the month prior also. Your 65th birthday is June 1st, your Medicare will start May 1st. If you have not had continuous health insurance coverage for 63 days prior to your Medicare Supplement Open Enrollment, the Medicare Supplement Plan you select can refuse to pay for any treatment of the preexisting condition for 6 months, this is called an exclusion. Once that six month waiting period is exhausted, your insurance company must then begin to cover all conditions. This is all avoided if you have had 63 days of continuous creditable coverage, such as group coverage from an employer or an individual plan like the ACA (Obamacare), or a government sponsored health insurance plan. In many states you can enroll in a Medicare Supplement Plan six (6) months prior to the effective date of the policy. There are however some some exceptions to this rule. Connecticut has a year round open enrollment and you may submit applications up to 60 days prior to the requested effective date. Some states offer other enrollment periods outside of the general Medicare Supplement Open Enrollment. With these periods, you normally must choose a plan of equal or lesser benefits, such as a Medicare Supplement Plan G to a Medicare Supplement Plan N or a Medigap Plan G to a Medigap Plan G.
California: Has what is commonly called the "Birthday Rule", this is a Medicare Supplement Open Enrollment which starts 30 days before the individual's birthday and lasts until 30 days after. Connecticut: Has a Medicare Supplement Open Enrollment period year round. Beneficiaries can enroll or change their Medigap plan at any time. The Premiums for Medicare Supplement plans in CT are community rated and are not based on health history or age. Missouri: Individuals will get an enrollment period for their Medicare Supplement policy starting 30 days before the anniversary date of the policy and 30 days after. You may obtain the same plan with no health questions asked. Example: Policy started 01 May you have from April 01 through May 30th to change. If you change to a lower plan with less benefits, you could be underwritten. Maine: You may change plans with no medical questions for the same plan or one of lesser benefits, providing you have not had a lapse in Medicare Supplement coverage of 90 days. Oregon: Has what is commonly called the "Birthday Rule", this is a Medicare Supplement Open Enrollment period last 60 days. It is 30 days before and ends 30 days after an individuals birthday. Vermont: Has a year-round Medicare Supplement Open Enrollment. Washington: You may change plans on an Open Enrollment basis at any time. Persons with a Medicare Supplement Plan A may only move to another Plan A. Persons with a Plan B, C, D, E, F, G, M or N may move to any other plan B-N whether higher or lower in benefits compared to the current plan. For the most part the Medicare Supplement Plan Open Enrollment means that the Medicare Supplement provider must accept you without any underwriting. 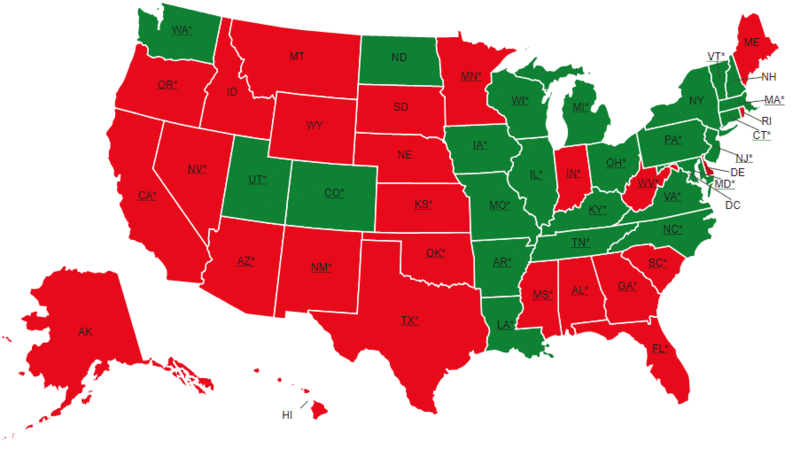 This is true except when it comes to Tobacco rates, in the map below the states that are in red are states that will allow the insurer to charge more for tobacco usage during the open enrollment. FLORIDA: Insurers in Florida will increase premiums for smokers by about 10%. This means if you purchase Medicare Supplement Plan F as a smoker, you would pay an additional $17.54 per month (male rate) or about $210 per year. TEXAS: Texas insurance companies also charge about 10% more for applicants who use tobacco. With UnitedHealthcare’s plan F, applicants would end up paying about $17.00 per month or $205 per year. CALIFORNIA: Aetna Insurance in California will charge an additional 10% for male applicants who use tobacco. For the Medicare Supplement Plan F this represents an increase of $16.35 or an annual increase of $196.20. During your Open Enrollment Period you will automatically have the right to purchase any Medicare Supplement plan that is available in your state of residence. 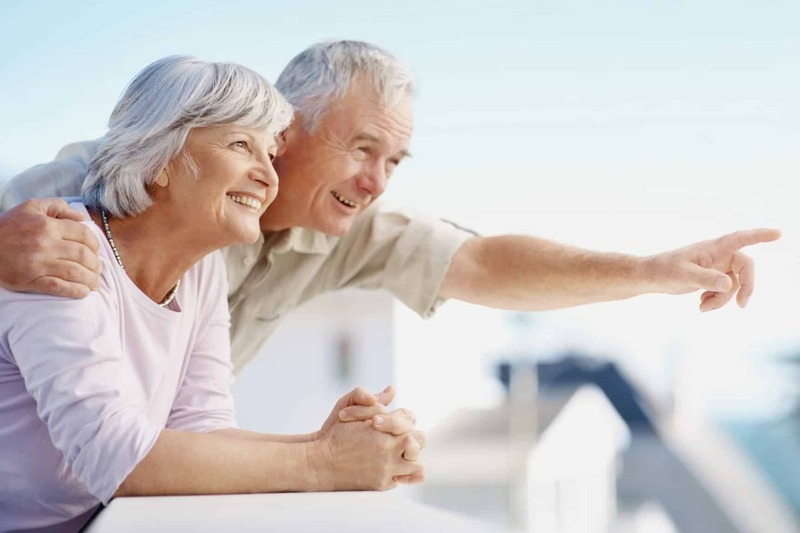 Certainly, this is the best time to purchase Medicare Supplement insurance but there are generally still a handful of situations when you can purchase a Medicare Supplement plan on a “guaranteed issue” basis as long as you are age 65 or older. You have a Medicare Advantage Plan and your insurer is no longer approved by Medicare for Medicare Advantage Plans, or you move out of your Advantage Plan’s service area. You currently have Medicare along with an employer-sponsored plan (includes COBRA or retiree coverage) or you have a union plan that pays in addition to Medicare but that plan is ending. You have Medicare and Medicare Select but you are moving outside the Medicare Select service area. The company you purchased a Medicare Supplement plan goes bankrupt and your coverage is canceled or policy coverage ends and it’s not your fought. You decide to leave a Medicare Advantage Plan or a Medicare Supplement Plan because the company is not following the rules or they have been misleading. Another type of Medicare Supplement Open Enrollment or Guaranteed Issue period is the "Trial Right". If you joined a Medicare Advantage Plan when you were first eligible for Medicare Part A at age 65, and you are within the first year of joining, you may switch back to original Medicare. As early as 60 days before the date your Advantage plan ends but no later than 63 days after the coverage ends, you may chose any Medicare Supplement Plan sold in your state with any insurance company with no underwriting. Also if you have dropped a Medicare Supplement policy to join a Medicare Advantage Plan or have switched to a Medicare Select Plan, for the first time and you have been in that plan less than a year you may switch back. You will only be able to switch to the same plan that you had before you joined the Advantage or Select policy and with the same Insurance company. You can change as early as 60 days before the coverage ends but no later than 63 days after it ends. Original Medicare, Medicare Supplement Insurance, and Medicare Advantage plans can all be confusing and downright stressful when it comes time to make a decision and enroll in a plan. Many people across the U.S. mistakenly assume that they can enroll in a Medicare Supplement plan without health underwriting during the Annual Election Period. This could be a huge mistake if you are buying Medicare Supplement Insurance for the first time. The Annual Election Period (AEP) which runs from the 15th of October to the 7th of December each year allows people to join or change their Medicare Part D prescription drug coverage or enroll in or change their Medicare Advantage Plan. Although you can enroll in a Medicare Supplement plan in most states anytime during the year, insurers in most states will apply medical underwriting when determining your rates. If you miss the Medicare Supplement Open Enrollment Period and you have preexisting conditions that would cause insurance companies to decline your Medicare Supplement application, you can likely still get coverage under a Medicare Advantage Plan because these plans have only one health question that most applicants can pass. In short, the best time to enroll into a Medicare Supplemental insurance policy is at least 90 days before your Medicare Part B effective date. The Open Enrollment Period is the one and only time you will have where you can select and enroll in any Medicare supplement plan that is available in your state. You are also allowed to skip the health questions on the insurance application even you have serious preexisting conditions. It’s important to remember that once your Open Enrollment Period closes, the insurance companies can require you to answer all of the health questions on the application. During the underwriting process, the insurance company can accept or decline to offer coverage based on your health. If you are an individual that has now or recently had some health conditions, it is incumbent upon you to get your decision made and your application in before the end of the Medicare Supplement Open Enrollment Period. I know this information can be confusing but we are here to help. Call us anytime at 844-528-8688 and we will be happy to guide you through the process. There is never a fee for our services and as an Independent Medicare Supplement Agency, our loyalty is to you, not some insurance company. You can also contact us by email on our "Contact Us" page or use the handy online chat feature in the corner of this page.